Welcome to Literacy's Premiere Conference! #wsra19 handouts will be on the mobile app for each session and HERE. Submit a proposal between February 1 and June 1, 2019. Enhance your expertise: WSRA's 2-1/2 day conference is chocked full of masterful presenters with takeaways for literacy education across the curriculum. Find ways to find fidelity to what your students need. Add to your portfolio and to your professional learning network. Network, Engage, Learn: Attend with your colleagues and meet new friends. WSRA's conferences are attended by educators at all levels. Set your My Itinerary on the conference mobile app. The app provides a way to have the conference program complete with presenters' bios, handouts, room numbers, and notifications in your hand. Learn with Other Leaders: WSRA's 2020 conference has a Leadership Community of Practice strand. Learn with and from Polished Presenters: The schedule of presenters at WSRA's conference consists of top-notch state, national, and international experts. The #wsra20 conference is a participant-driven conference. NEW for 2020 is the WSRA Unconference, which is set to happen on both Thursday and Friday! Continue your learning! WSRA's events and publications connect you and others across the years. PAYMENT for the #wsra19 convention is preferred by Visa, MasterCard, or Discover credit card. If you or your organization chooses to "Pay Later" with an invoice, the invoice must be paid in full by February 6, 2019 in order to attend. 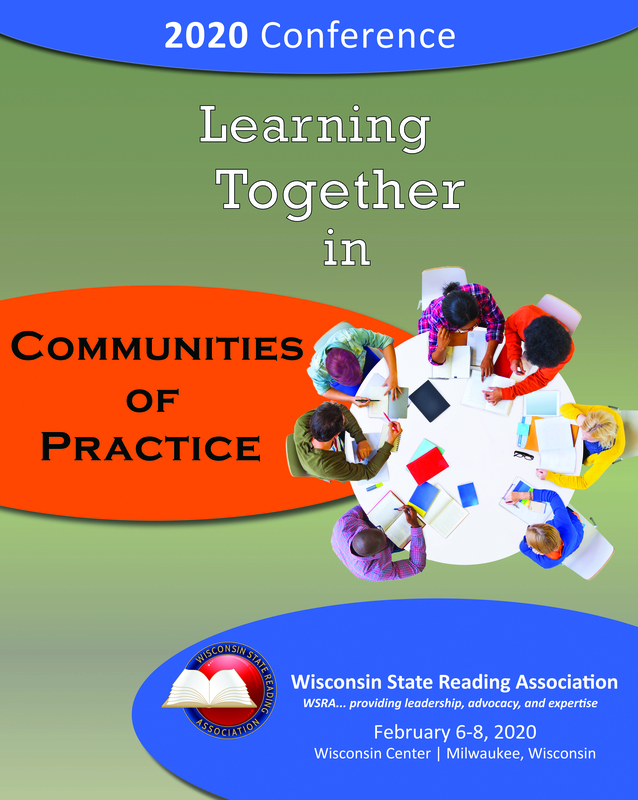 The Wisconsin State Reading Association sponsors conventions and institutes focused on the improvement of literacy instruction. Its institutes are located throughout the state of Wisconsin. WSRA’s policy is to conduct its own conventions and institutes. Periodically, these may be coordinated or sponsored in conjunction with WSRA’s local reading councils or WSRA committees, accredited universities, DPI, CESAs, an other organizations in Wisconsin. WSRA does not promote products. The WSRA conference is not cancelled due to weather conditions. Refunds are not granted for no shows. Personal cancellation must be received via email to Joyce at [email protected] by January 28, 2019 to receive partial credit. A $70 processing fee will be charged for the cancellation received by January 28, 2019. Refunds are not granted after February 5, 2019. If you would like to transfer your paid registration to an unregistered person, please contact Joyce at [email protected] by February 5, 2019. All attendees must wear his/her own name tag at all times when at the Wisconsin Center for the #wsra19 convention. Do not leave personal items unattended or to reserve seats for yourself or others. Attendance at the WSRA convention constitutes consent to be photographed and recorded for use in publicity for WSRA. Lunch for Thursday and/or Friday is included in your paid registration. Breakfast on Saturday is included in your paid registration for Saturday. WSRA is dedicated to providing a professional, safe, and harassment-free environment for attendees. Please make note of the exits in the Wisconsin Center. The Help Desk is located on the main floor at the check-in area. If you're in need of a lactation room while at the convention, please stop at the Help Desk for the key. Fire code does not permit standing in the back of the room or sitting on the floor. Please use the tables and chairs provided.